A new born baby who was thrown into a septic by his mother on Saturday has been rescued alive in Benin. 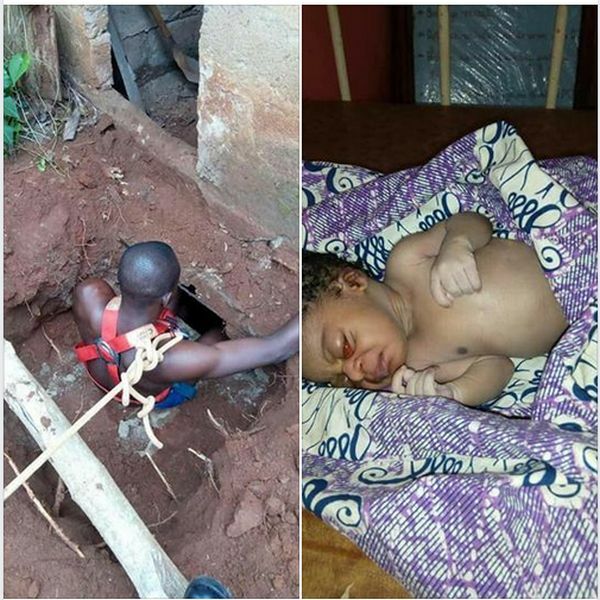 A fire brigade had to enter into the septic tank to save the child after his screams were heard by neighbors in Cotonou area of Benin republic. The baby was rescued with injuries as insects reportedly attacked his eyes in the septic tank. He was later rushed to the hospital for medical treatment. 0 Response to "New Born Baby Rescued Alive After being Thrown Into Septic Tank By Mother"